Every year the wonderful Mrs Brimbles releases a Washi Advent Box for December (not available currently - it's January after all, but stay tuned for later in the year!) and I love getting it because who doesn't love opening a present a day for an entire month? While December is long since gone, I was left with a neat little pile of wonderful washi tapes that will inevitably end up in my two big crates washi tapes and it's entirely likely that I'll forget the wonderful patterns that I have. This year, instead of being entirely forgetful (like I normally am), I decided to go back to doing something I haven't done in ages and that's keeping a washi log. 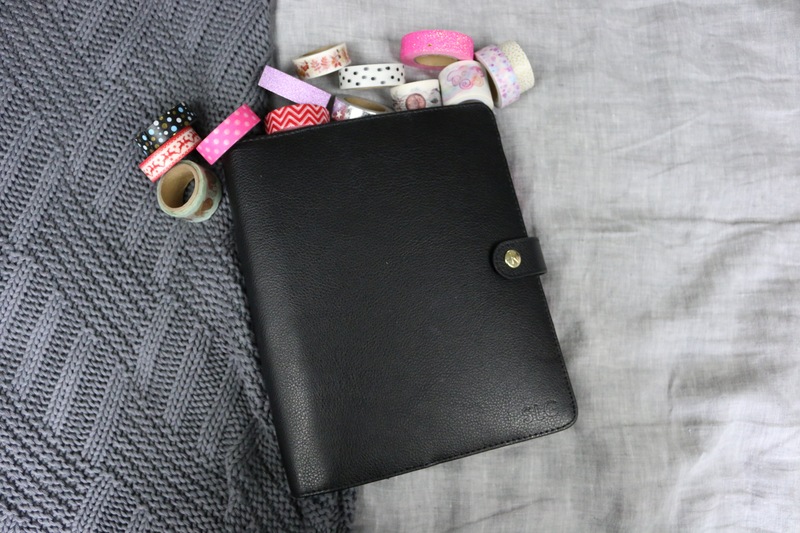 It's pretty simple: I simply use a bit of washi as a sample on some paper in my planner so that I can flip to it whenever I need to find the right washi tape for a project. If you watch the quick video above, you'll see how I do it - it's not rocket science, or even a completely new idea, but it is one that allows you to refer back to it time and time again. Now, so far I've only done the 2018 Washi Box (mostly because my crates of tape are a vaguely terrifying prospect to create samples from) but I do aim to get to the rest of my tapes in 2019.